Rimini was founded by the Romans, and there’s still a huge amount of Roman history to explore around the centro storico. 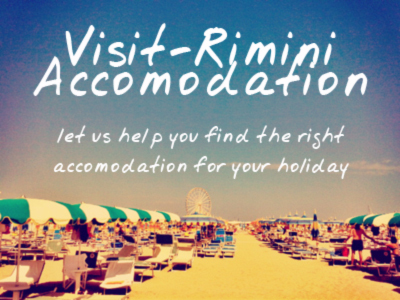 Obviously, as you’ll see on this walking tour, you can’t isolate Roman Rimini completely from the medieval and modern city – the monuments and ruins are a part of the living-breathing city; so while we’ve highlighted the main Roman sites, keep an eye out for the other historical sites of the city as you pass through the city centre. 09 Domus Del Chirurgo 44.062269, 12.567711 Finish off the walking tour with a visit to the Domus del Chirurgo - Surgeon's House visitor centre, to view superb mosaics from a roman villa. 07 La Porta Montanara 44.057337, 12.565122 The Porta Montanara Gate was the main access to the city from the South. In 2004 the structure was restored, and moved slightly (about 40 metres south) to its current location. 05 Arco d'Augusto 44.056937,12.571141 This magnificent Roman triumphal arch - the oldest surviving example of its kind - is one of Rimini's most important monuments and a landmark and symbol of the city. 04 The Roman Amphitheatre 44.059882184690814,12.574807405471802 Rimini’s Roman Amphitheatre, though in an advanced state of ruin now, was when constructed a huge arena, almost matching the Colosseum in Rome in size. You can use the map, and the guide below – clicking on the links for more detailed information of the various sites. The Arco d’Augusto is one of Rimini’s proudest monuments – built by Augustus to mark the end of the Via Flaminia (the main route to Rome). To get there from the Anfiteatro Romano head over to the Parco Cervi for a pleasant stroll, and a great view of the Arch. Take a moment when approaching the arch to look at the surrounding area, where there are some remains of the original Roman walls of the city. Continue on from the Arco d’Augusto along to Piazza Tre Martiri (formerly known as Piazza Giulio Cesare). This was the Roman Fora of Ariminum – the centre of the town, and possibly the place where Caesar made his famous ‘Alea iacta est‘ speech having crossed the rubicon. There are some roman excavations visible in the top left hand corner of the square, but most of it is medieval and modern. For example, the famous Caesar plinth, which commemorates Caesar’s speech – which you’ll see planted at the junction of Via Quattro Novembre dates back to the 1500s. Tucked away in the corner of the square, you’ll see a bronze statue of Caesar (made in the post-war period). Walking down Via Garibaldi from Piazza Tre Martiri, in the distance you’ll see the majestic ruins of the Porta Montanara – the main Roman gate for people entering the city from the South. The gate survived in different forms and shapes up until the Second World War, when it was largely destroyed. For a certain period its historical importance was undervalued, and traffic took precedence on this site. From 2004 onwards though the remnants of the Porta Montanara were reconstructed on their original site. From the Porta Montanara you can either return to Piazza Tre Martiri and head down the Corso d’Augusto, or if you’re feeling adventurous wind your way through the side streets, to arrive at the 2,000 year old Ponte di Tiberio. This bridge, started in the reign of Augustus, is 2,000 years old and increadibly still in daily use. There is perhaps no better place in Rimini to get a glimpse into the past, and imagine yourself back in Roman Ariminum. Head back into town from the Ponte di Tiberio, and turn at the junction between the Corso d’Augusto and Corso Papa Giovanni XXIII (just after Fellini’s beloved Fulgor cinema) to head to the decidedly un-roman-looking Piazza Ferrari. Here, though, you’ll find – housed in an ultra-modern visitor’s centre- some of the best preserved roman mosaics in the world. This large roman house was discovered in 1989 during building work, and after extensive excavations and archaeological work was presented to the public in 2007. Post by Ariminum La Rimini Romana.